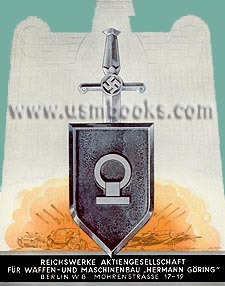 I've lost count of how many novels I've read about the fingers of the ugly World War II past reaching into the present. 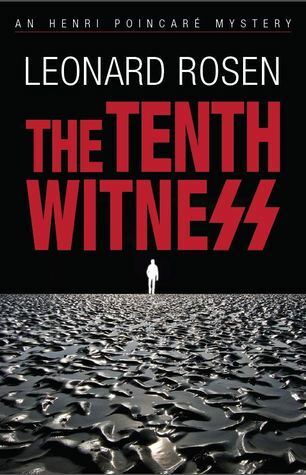 It's a challenge to make a fresh story on this theme, but Leonard Rosen's The Tenth Witness shows he is more than up to the task. The Tenth Witness is a prequel to Rosen's impressive and original first Henri Poincaré novel, All Cry Chaos. Most of the action in The Tenth Witness takes place in the late 1970s, before Henri has become an Interpol agent. Henri is an engineer, and he and his partner, Alec Chin, have just landed an exciting project: on behalf of Lloyd's of London, they've built a platform from which they hope to recover the 18th-century wreck of the Lutine, a gold-laden ship that went down off the Dutch Wadden Sea. While out hiking on the broad mudflats of the Wadden Sea, Alec meets Liesl Kraus, and their attraction is immediate. Liesl turns out to be a very wealthy young woman, the daughter of Otto Kraus, founder of Kraus Steel. Henri is soon introduced to Liesl's family, including her charming brother, Anselm, who now runs the firm's operations, and her uncle, Viktor Schmidt, whose bluff heartiness feels to Henri as if it's hiding something more menacing. Henri, who has an honorary uncle Isaac, who was a Jewish Holocaust survivor, is curious and cautious about the Kraus family, especially since Anselm and Viktor seem eager for Henri to become involved in some of their overseas businesses. Henri learns that Otto Kraus was a member of the Nazi Party and produced steel for the German war effort, with production fueled by slave labor. After Germany lost the war, Otto had a get-out-of-jail-free card, though: an affidavit, signed by 10 Jewish workers at Kraus Steel, swearing that Kraus had saved lives of the slave laborers; a veritable Oskar Schindler. When hints surface that the whole Kraus-as-Schindler story might not be the real deal, Henri's love for his adoptive uncle compels him to try to unearth the truth, whatever the cost to himself, his career and his relationship with Liesl. The story really takes off at this point, with Alec traveling around the world gathering intelligence. Henri spends almost as much time slogging through archival documents, and Rosen's writing makes that part of the search every bit as tense and compelling as the globe trotting. Henri's work and research take him to facilities in the third world where workers who are desperate for any kind of employment are treated only marginally better than the Nazi slave laborers, and to countries where individual freedoms and lives are sacrificed in the name of security and progress. Without being at all sanctimonious, Rosen makes us look at the situational ethics so many used during the Nazi era and ask ourselves if we are so sure we'd have done the right thing, not the expedient thing––and if the choices we make today can stand up to close scrutiny. As with All Cry Chaos, there is so much going on in this novel; murder, romance, science and technology, a chase after Nazis, and the quest for a gold-laden shipwreck. The plotting is intricate but fast-paced, the storytelling lean but with plenty of food for thought and emotion. Although I call the storytelling lean, that doesn't mean the book is sparing when it comes to imagery. Rosen vividly describes the huge Wadden Sea mudflats and the challenge of walking out to off-coast islands on them and, most important, beating the incoming tide to return safely to dry land; the hair-raising process of beaching a huge, decrepit ship and the work of gangs of laborers who take it apart for salvage; Henri's encountering Argentina's "dirty war" personally; Henri's series of chemical experiments. In All Cry Chaos, Rosen seemed to know all about fractals and made them an integral part of the plot––along with modern-day terrorism and a high-tech murder––while here, he fascinates the reader with natural phenomena, chemistry and engineering, together with the murder and moral issues. I don't know of another author who so skillfully interweaves so many varied threads in his novels. Leonard Rosen has created an appealing and complex protagonist in Henri Poincaré, and his novels offer far more than the usual thriller or whodunnit; they have more in common with literary fiction. If you haven't read them yet, pick one and see for yourself. Note: I received a free review copy of The Tenth Witness. Versions of this review may appear on Amazon, Goodreads and other reviewing sites under my usernames there. Steve, they are definitely must reads. It's nice, too, that you don't have to worry about reading order. Whichever one appeals to you is a good place to start.